The perfect pancakes are not an accident. They take some smart cooking and a great starting recipe for a basic pancake. But, thankfully, there are a few tips that you can make to ensure success in the morning. Follow these cooking tips to make great pancakes that are the hit of your family when they sit down for a great breakfast. 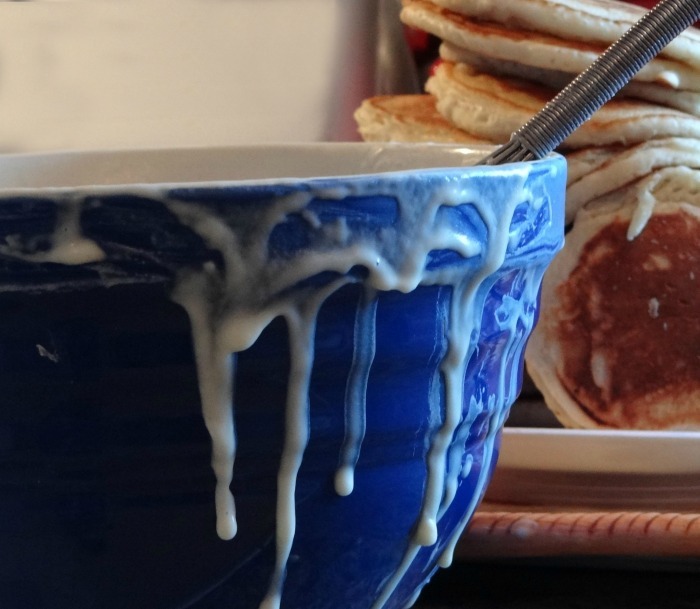 Follow these 10 Tips to make Great Pancakes. 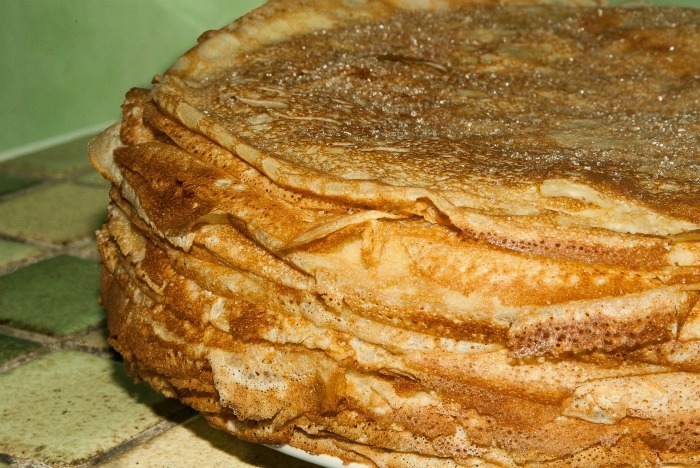 Pancakes are a favorite breakfast recipe for many. There is nothing that says comfort food in the morning in quite the same way that pancakes do. Great pancakes are light, fluffy and full of flavor, just waiting to have some of your favorite toppings added. But adding flour to baking powder, salt and sugar doesn’t automatically make your pancake come out perfect. A few other steps are needed, too. 1. Start with a Great Basic pancake recipe. You can get fancy later, but be sure to have a great recipe on hand for the basic pancake before you experiment with additions. Just combine 1 cup of flour with 2 tbsp of sugar, 2 tsp of baking powder and 1/2 tsp of salt. Stir them together and add 1 cup of milk (or buttermilk for a bit of a tang) and 2 tbsp of melted butter and 1 egg. This recipe will give you light and fluffy pancakes every time and gives you a base to add to later when you want something more creative. A common question that I get asked is “what if you can’t eat wheat products?” This is the time for gluten free substitutes. 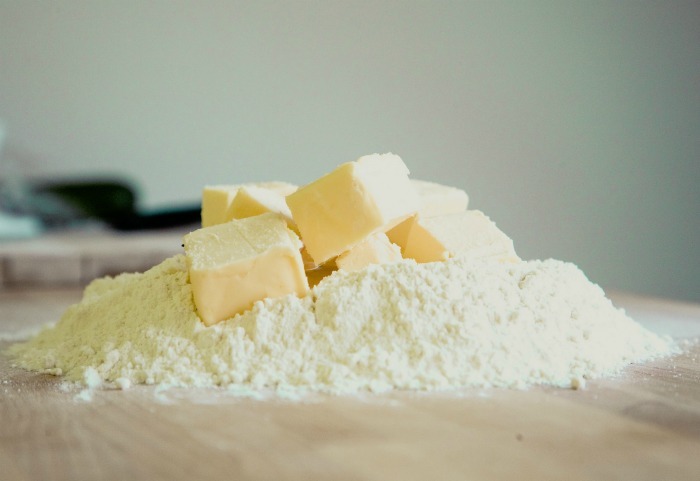 Rice flour and oat flour make good substitutes for normal wheat flour. 2. Combine ingredients in Two Bowls. All of the dry ingredients should be mixed in one bowl, and the wet ingredients in another. Don’t skip this step. It insures that your ingredients will be perfectly mixed before you put wet and dry together. Also, be sure to measure the flour correctly. I use the spoon method, not the scoop method which tends to make the flour too packed. 3. Go for Fresh, Quality Ingredients. Pancakes have a very subtle flavor, so the quality of the ingredients is a big key to their success. Even something as simple as the choice of baking powder can make a difference as to whether the pancakes will end up fluffy or not. Many ingredients go stale over time too, so try to make sure that you are using very fresh ingredients as well. Try this tip for the lightest pancakes. Separate them first. 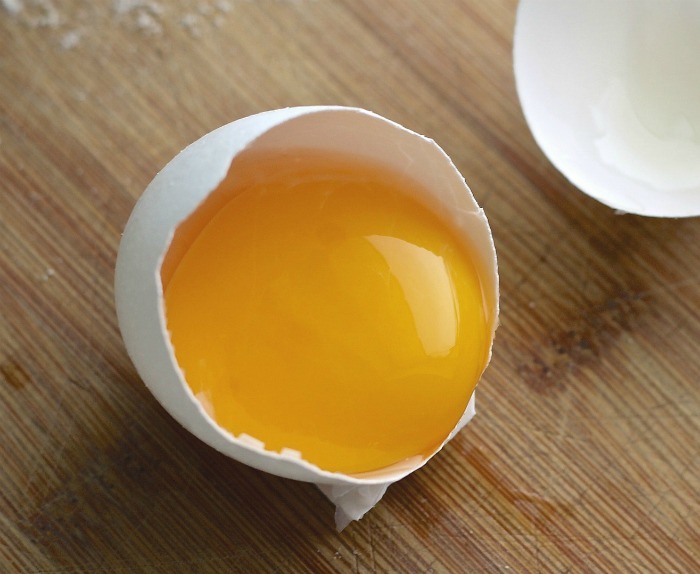 For very fluffy pancakes, add the yolk to the wet ingredients, but then beat the whites a bit before adding them. Think of how fluffy a meringue gets? Doing this ahead of time will help to make your pancakes light and fluffy too. Yes, it is good to get out most of the lumps from the dry ingredients when they are mixed with the wet but don’t over mix at this stage. A few lumps are just fine. Combine the batter until wet and dry are just incorporated. If you over-mix, you will make your pancakes chewy instead fluffy. And for heavens sake, just mix the batter in a bowl and skip the hand mixer! 6. Do a few test pancakes. I don’t know about you, but it takes me a few pancakes to get the timing, color and thickness of my pancakes just right. I hate it when I make them too brown! 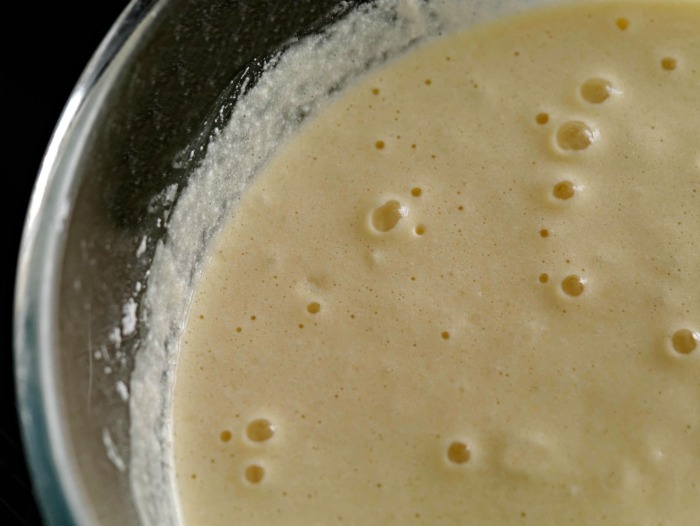 Make a bit of extra batter and do a few tests pancakes until you have a good rhythm going. Testing a few pancakes also helps you get used to the temperature of the pan and the timing of cooking them. 7. Look for the bubbles. 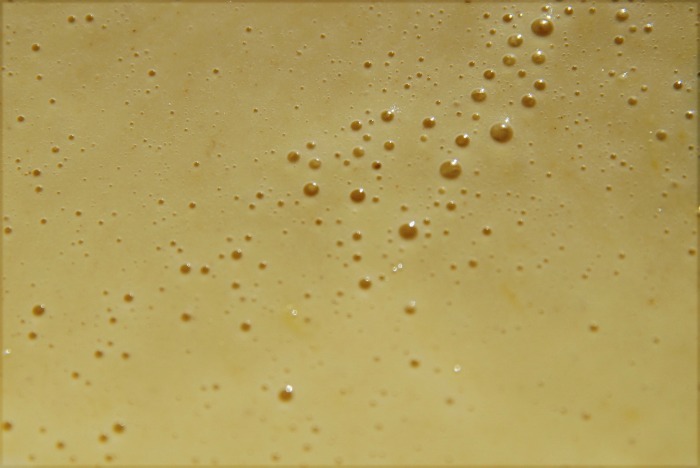 You won’t make the mistake of trying to turn pancakes too soon, if you just look for the bubbles. As the bubbles start to form on the top side and pretty much cover the pancake, it will puff up a little and this is the time to turn them. If you don’t see bubbles and try to turn, you’ll end up with a messy pan! 8. Never press a pancake. 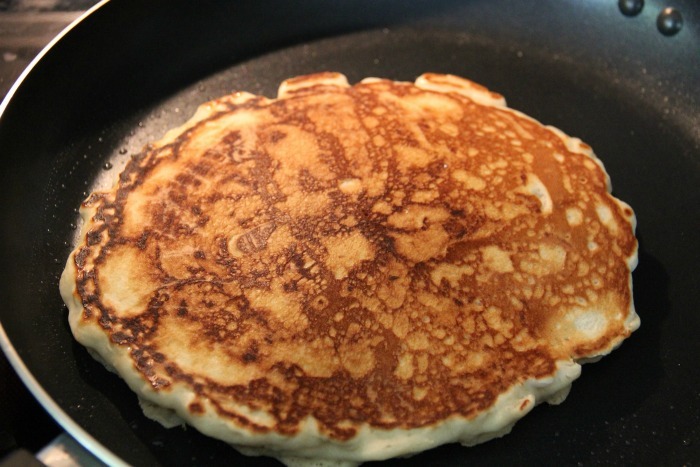 A pancake is ready to flip when it is just slightly dry on the edges and a few bubbles form on the top of the batter. (Peeking underneath is allowed!) Never press them down after turning to cook them faster. All it will do is undo all the effort you have made to make them fluffy and light. Who wants flattened, tough pancakes? Not me! 9. Timing Matters with extra ingredients. If you plan to add chocolate chips or berries, don’t mix them in the batter. These ingredients burn easily. Add the batter to the pan first and then sprinkle on the extras before you flip to the other side. The batter will rise up and hold them and they will stay put when you turn the pancakes. 10. The choice of oil matters. 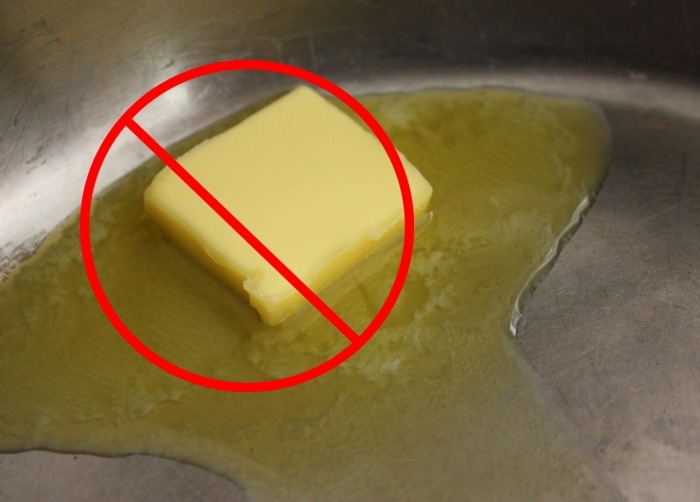 Regular butter will burn very easily. A better choice is vegetable oil, coconut oil, cooking spray, or clarified butter which has a higher smoke point and won’t burn as easily. 11. Wait to stack the pancakes. If you have to make more than just a few pancakes, place them in a single layer on a baking sheet in a warm oven. If you stack them while you cook more, the steam will make them soggy and flatten them out. Stack just before you serve. 12. Don’t skimp on toppings. I love the taste of a fluffy pancake as much as the next person, but perfect pancakes are as much about the toppings as the pancake itself. Fresh fruit, powdered sugar, creamery butter and fresh cream all make great toppings. And there is absolutely no substitute for pure maple syrup. The imitation stuff just won’t cut it. If you follow these tips, you will end up with light and fluffy pancakes that are perfectly made every time! 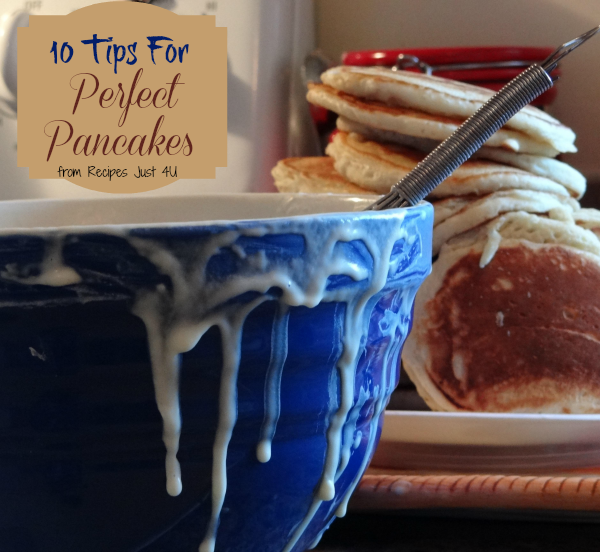 Do you have some other tips to ensure that you get great pancakes when you cook them? And now, on to some great recipes. 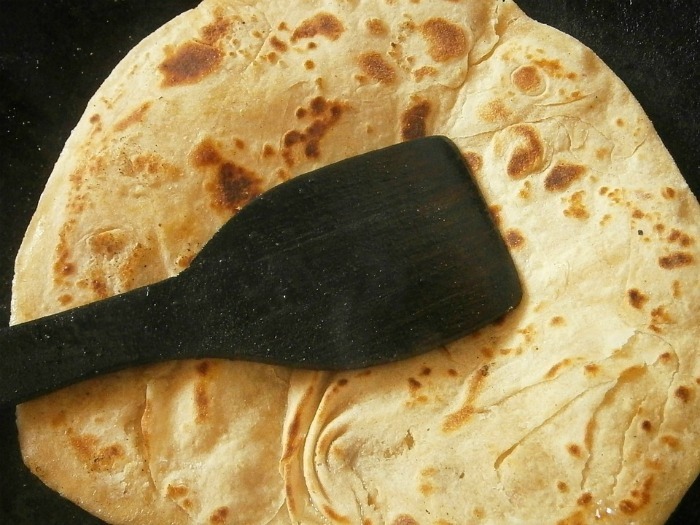 For variety, why not try one of these great pancake recipes? 1. Whole Wheat Pumpkin Pecan Pancakes from Skinny Taste. 2. Cinnamon Roll Pancakes from Life in the Lofthouse. 3. Greek Yoghurt Pancakes from Creme de la Crumb. 4. 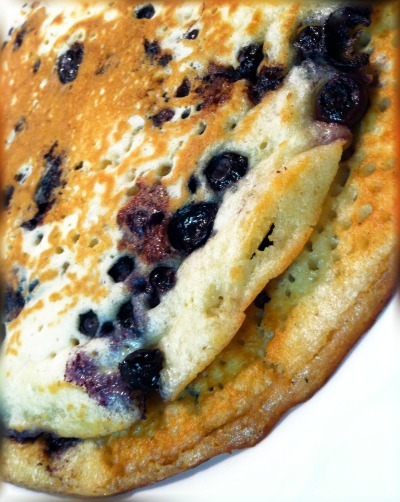 Best Blueberry Pancakes from Baker by Nature. 5. Chocolate Chip Pancakes with Peanut butter Syrup. 6. Healthy Chocolate Chip Oatmeal cookie pancakes from Minimalist Baker. 7. Funfetti Buttermilk Pancakes from Sally’s Baking Addiction. 8. Wholewheat Apple Pancakes from Pinch of Yum. 9. Red Velvet Pancakes from Cooking Classy. 10. Strawberry Lemon Poppy seed pancakes from La Creme de la Crumb. 11. Strawberry Souffle Pancakes from Key Ingredient. 12. Key Lime Cheesecake Pancakes from Will Cook for Smiles. 13. Churro Pancakes from Chica Chocolatina. 14. Fluffiest Pancakes ever from Serious Eats. 15. 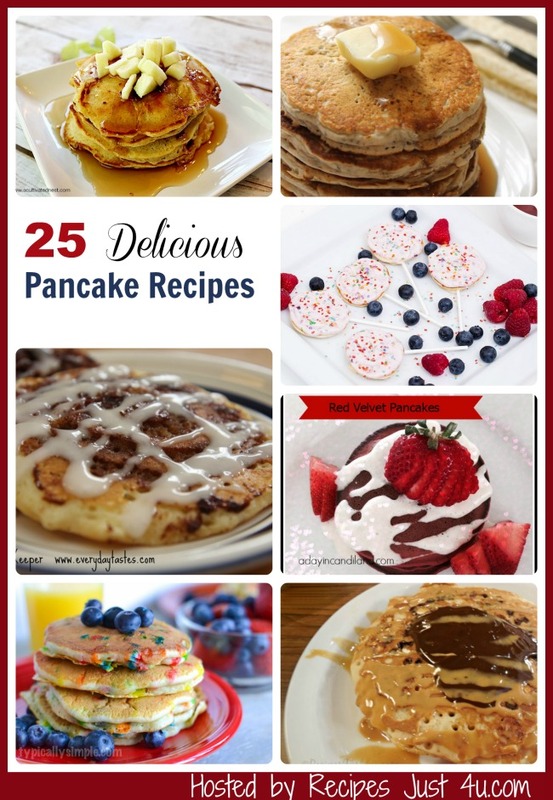 Chunky Monkey Pancakes from All Recipes. 17. Chocolate Chip Oatmeal Pancakes from Minimalist Baker. 20. Whole Wheat Vegan Chia Seed Pancakes from Natural Chow. 21. Lollipop pancakes from 5 Minutes for Mom. 22. Melt in your mouth Apple Pancakes from A cultivated Nest. 23. Blueberry Pancakes with Sprinkles from Typically Simple. 24. Red Velvet Pancakes from A day in Candiland. 25. Cinnamon Swirl Pancakes from It’s a Keeper. 26. Bacon and Corn Griddle Cakes from Recipe Girl. 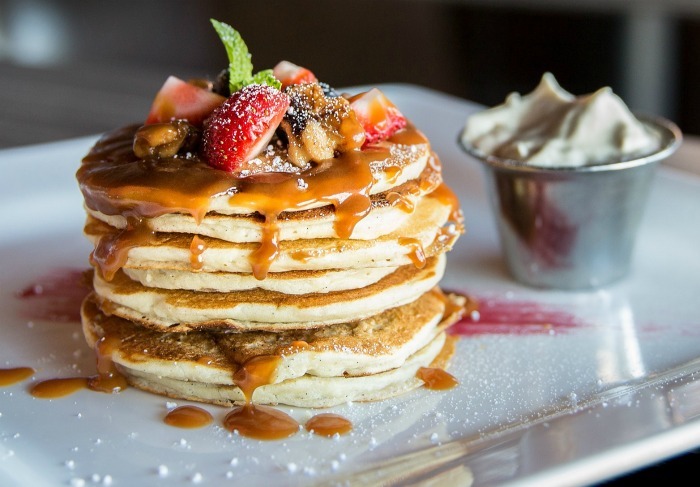 What is your favorite addition to pancakes? Please leave your comments below.